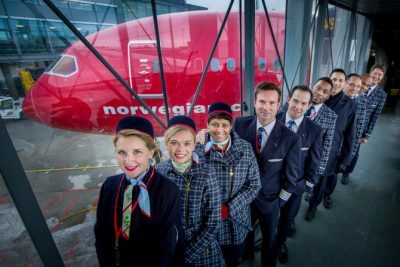 Norwegian Broadcasting (NRK) reported Tuesday that the wording of the call for actors who would represent the airline has been criticized as potentially discriminatory at worst and “old-fashioned” at best. Peggy Brønn, a professor of communications and leadership at the Norwegian Business School BI in Oslo, told NRK that the formulation of Norwegian’s ad could make many people feel excluded. The new commercial is part of the airline’s current “America – just like the movies” campaign, aimed at the Scandinavian market for flights to the US. Lasse Sandaker-Nielsen, who was forced to spend a lot of time this past summer dealing with Norwegian’s delayed and cancelled flights that left passengers stranded from California to Spain, claimed it was “completely common to generalize when you make a commercial.” He claimed he couldn’t understand how anyone could try to turn the airline’s casting call into a case of discrimination.